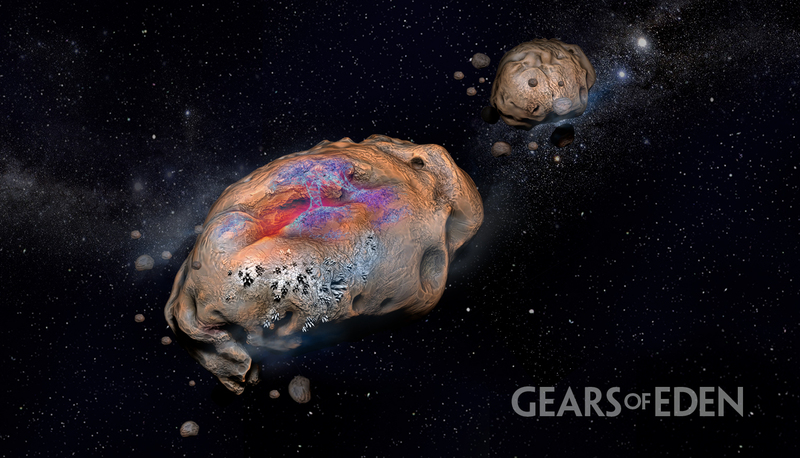 In our previous update, we talked about the process of re-concepting our starter asteroid. We’ve been working with artist Sasha Nodia to help update and improve the environment in our demo space game, and we’re happy to share some more art with you this week! We also want your input on a question raised by this endeavor: should there be limited organic life on our asteroid? At first glance, this seems a bit far-fetched. However, we have learned that certain lichens and bacteria can survive in space, and indeed this plays into a theory of transpermia (which suggests life spreads from one planet to another by hitching rides on asteroids and comets). 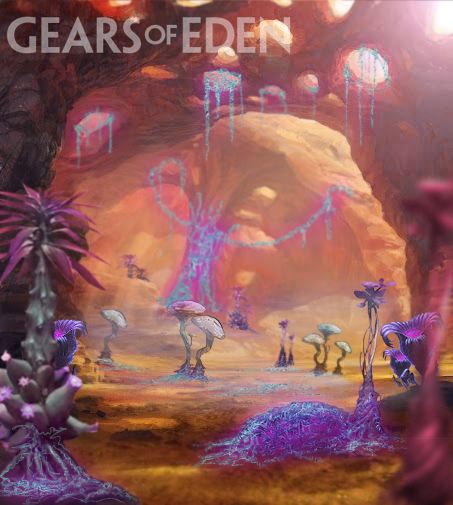 Gears of Eden is also way more concerned with fun and gameplay than adhering to reality (we like to say, “More Star Wars than Star Trek”), but if we can use reality to make this game even more fun, we definitely want to! It is, however, a balancing act. On the one hand, even if we like the idea of having stylized organic fungal life on asteroids in our game, do they need to be included on the starting world? Should that be saved for later? On the other hand… if we don’t show enough off in our demo, which only has one location, we might not capture the interest and support we need to pursue the full game, which means that first location might also be the last. Have some organic life, limited to a small area of the asteroid that sustains a micro-climate, would provide the opportunity to introduce new materials, crafting recipes, and varied gameplay and aesthetics (possibly even narrative or mission implications). Of course, this inclusion could also lead to some confusion in mechanics and at its worst, seem forced in. So what do you think? Let us know your opinion in our Twitter poll! That is going to wrap it up for this week’s Dev Update! 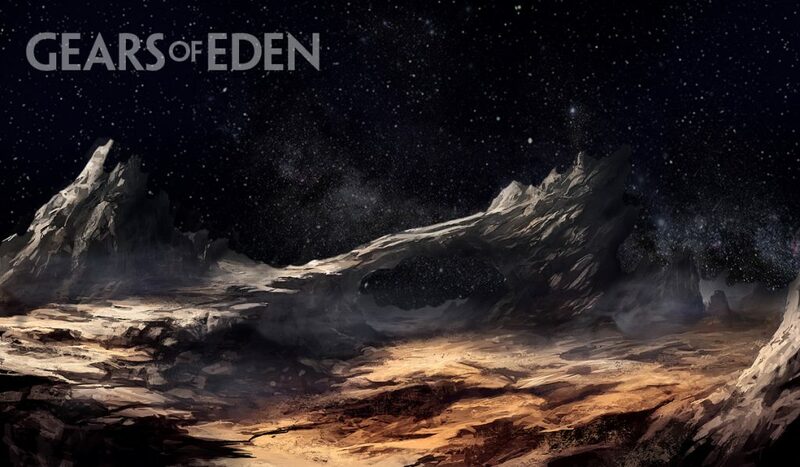 Please be sure to follow us over at Twitch for some live dev-streams, and keep up with all the latest and greatest Gears of Eden news on Twitter and Facebook! If you’re interested in testing our upcoming Alpha 2, be sure to enroll on our website! Have a great week!